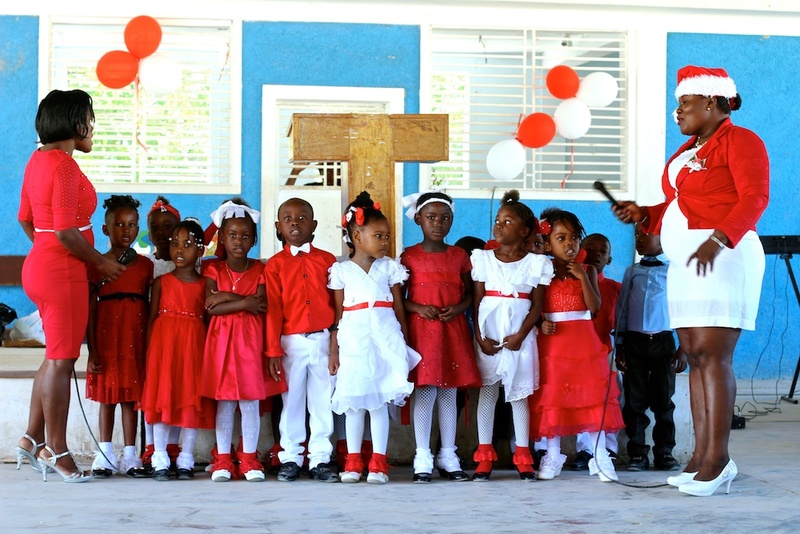 Greetings to all the sponsors and supporters of Grace Emmanuel School! I hope you are all very well with Jesus. 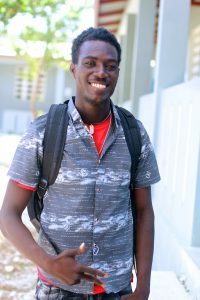 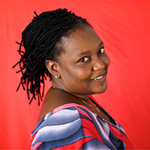 My name is Iselande and I manage all the in-country tasks for the sponsorship program at Grace Emmanuel School. I am so proud of the love you have for all of the students, and the way you are always thinking of them. I am writing to thank you for the wonderful thing you did to make sure every student received a gift this Christmas. 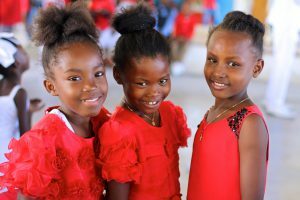 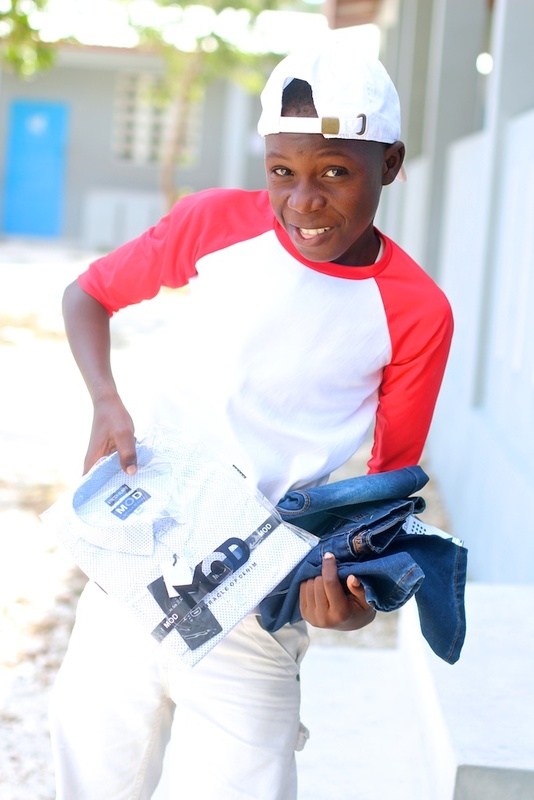 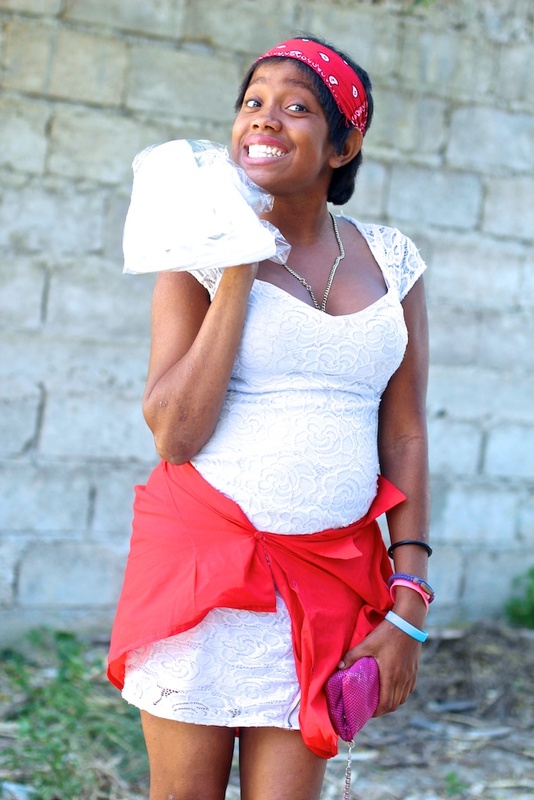 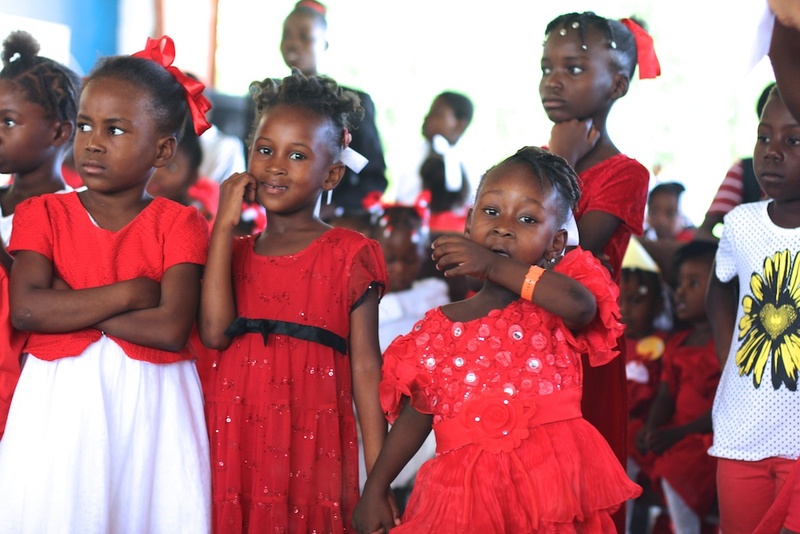 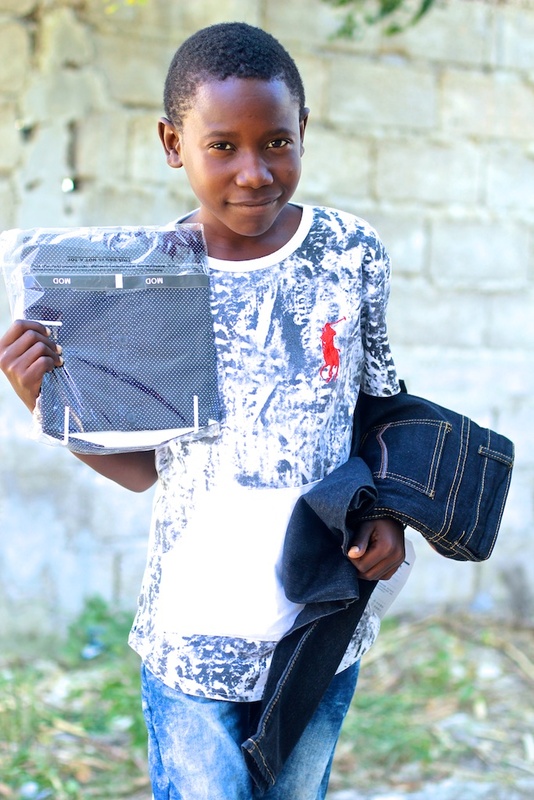 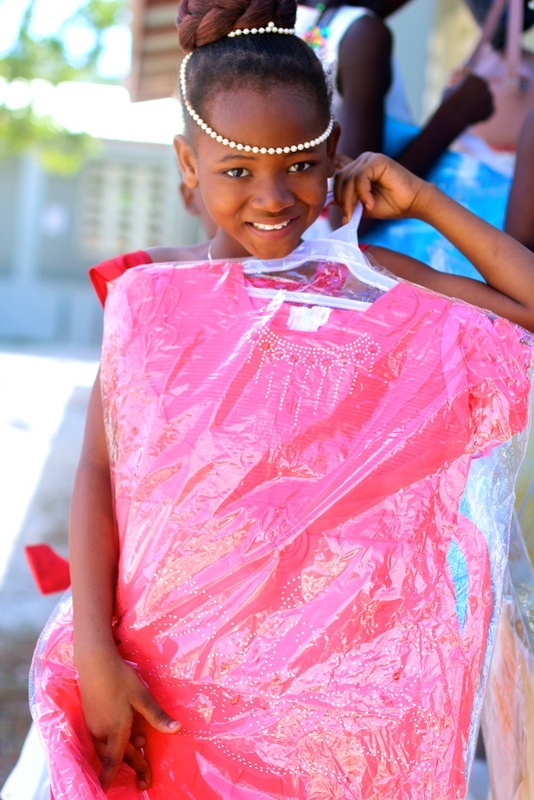 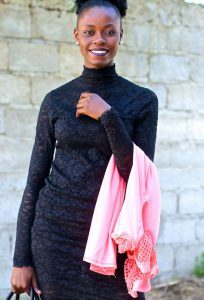 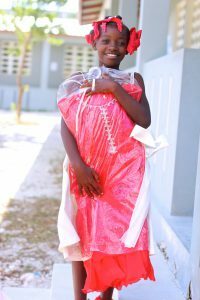 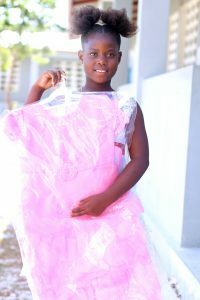 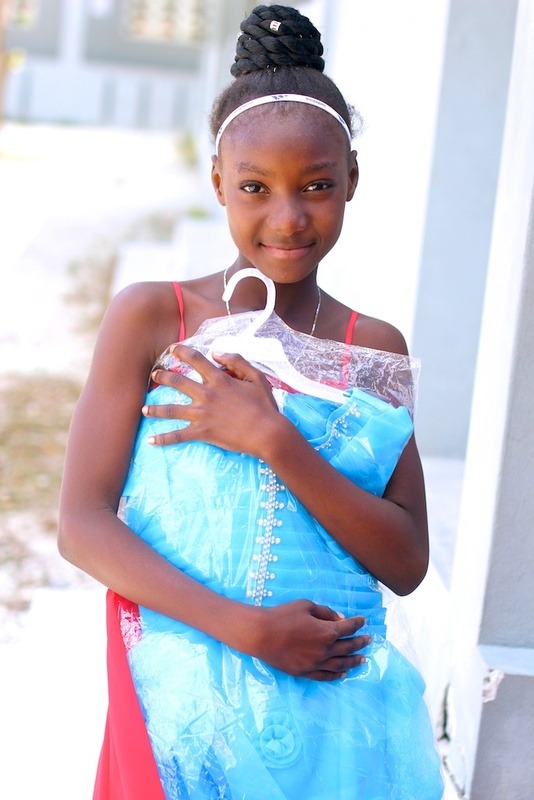 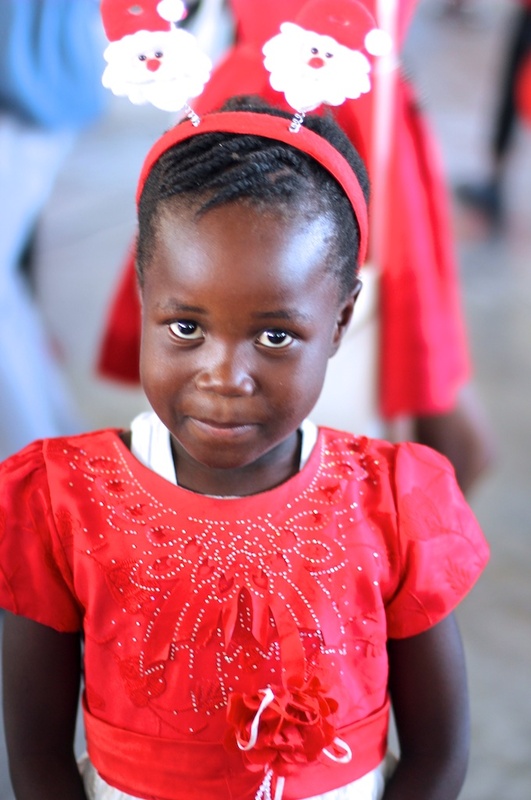 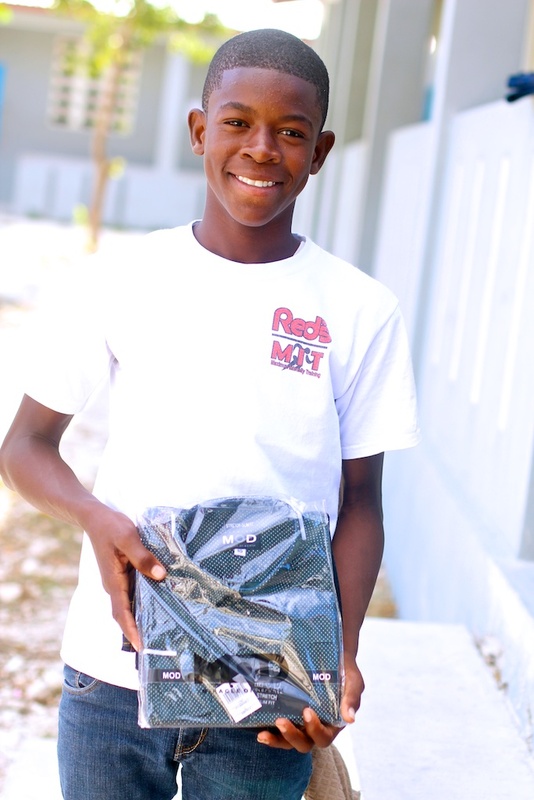 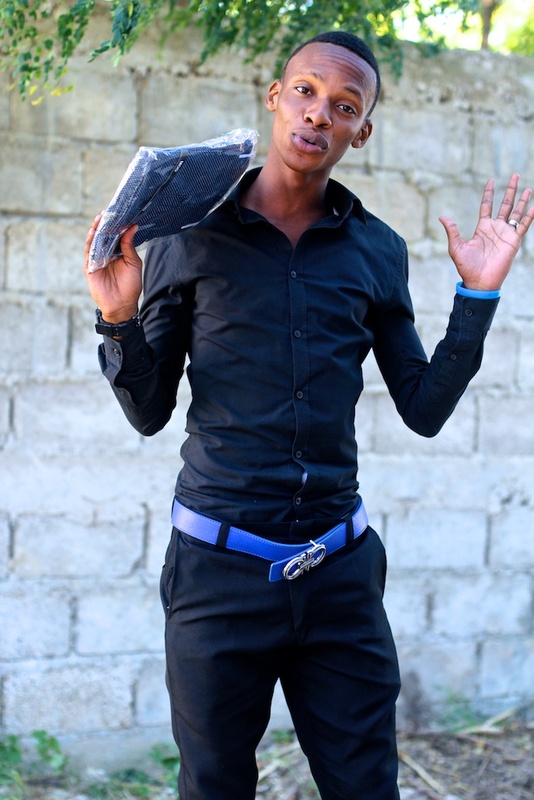 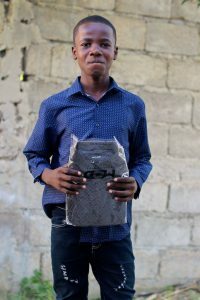 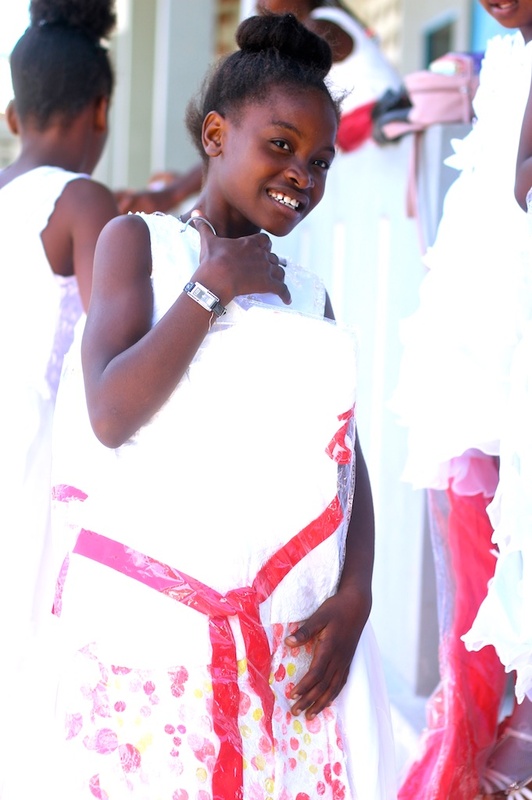 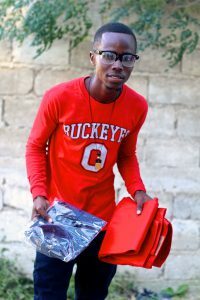 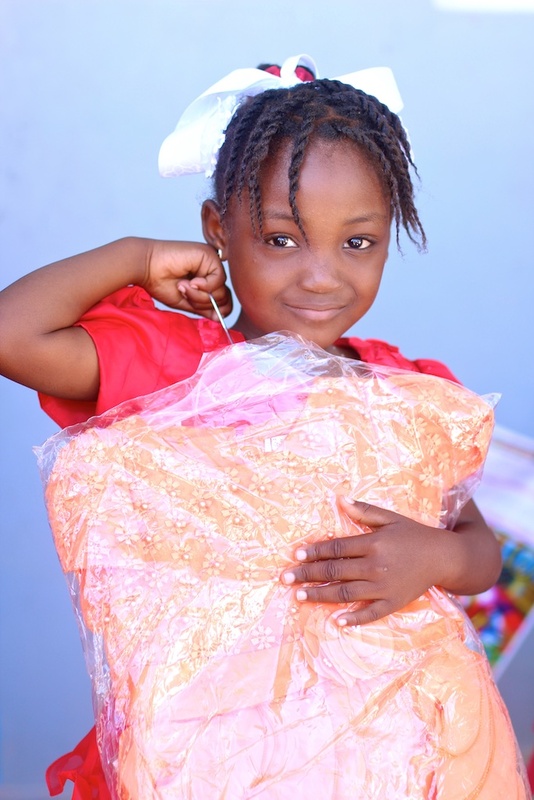 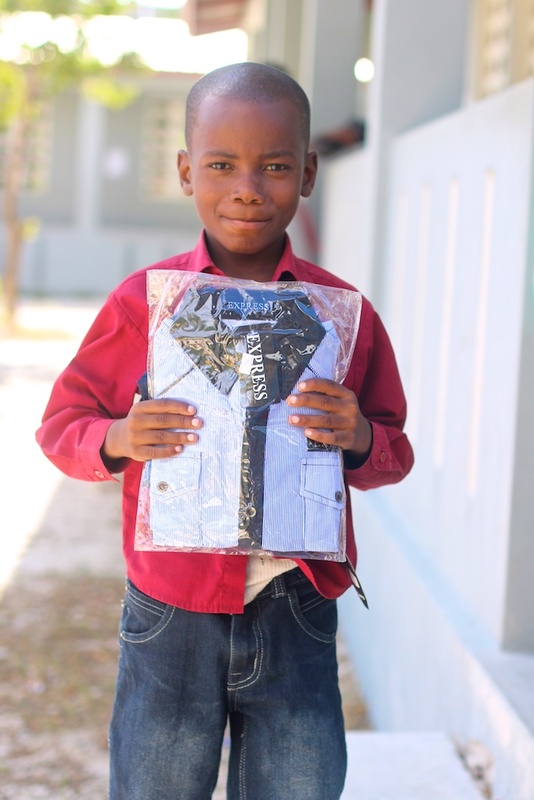 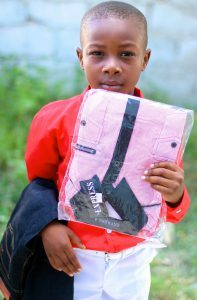 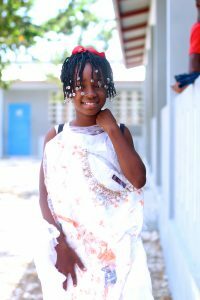 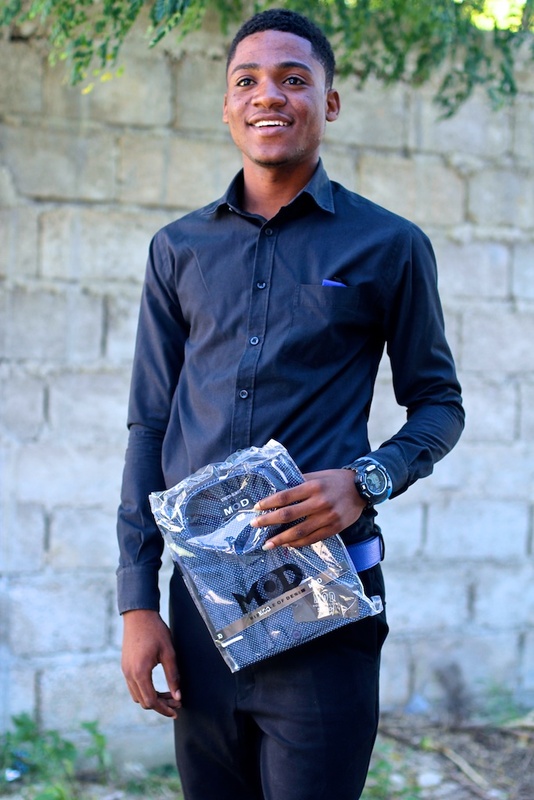 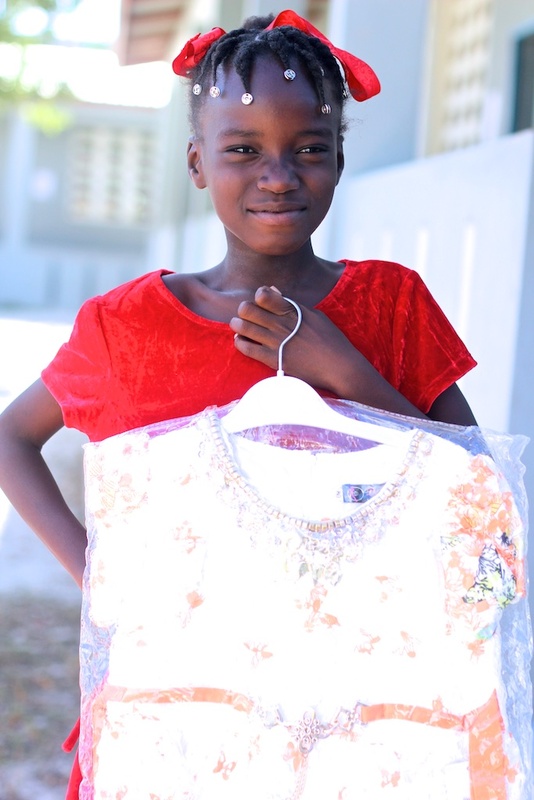 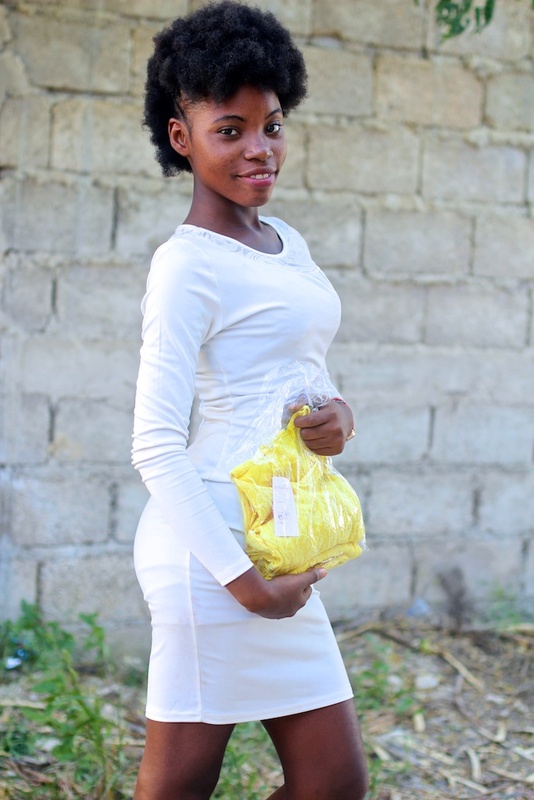 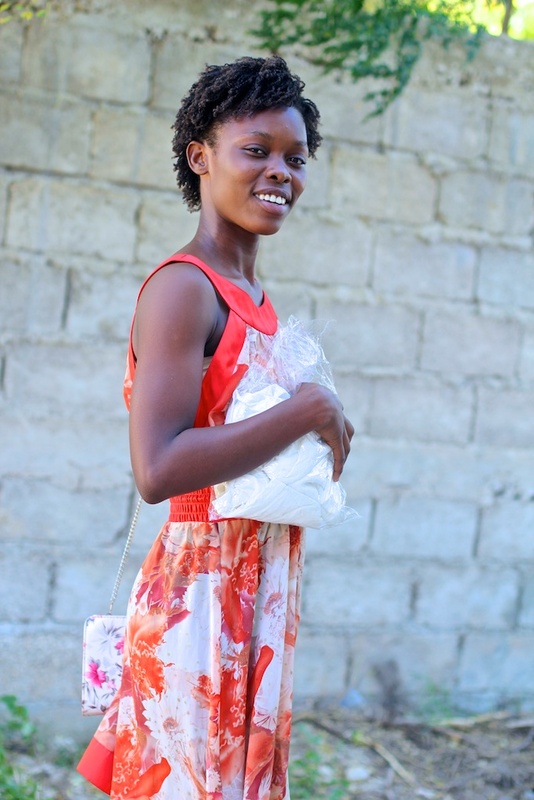 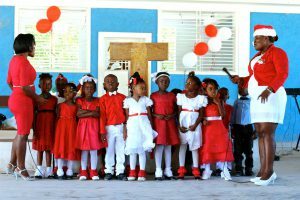 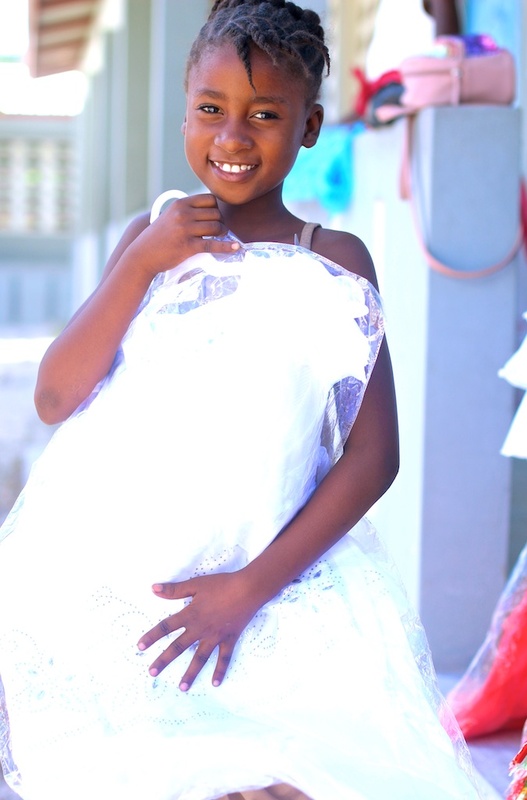 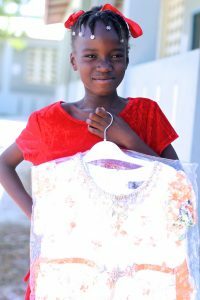 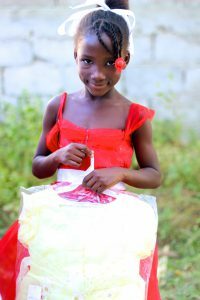 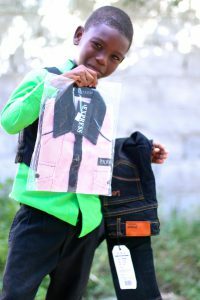 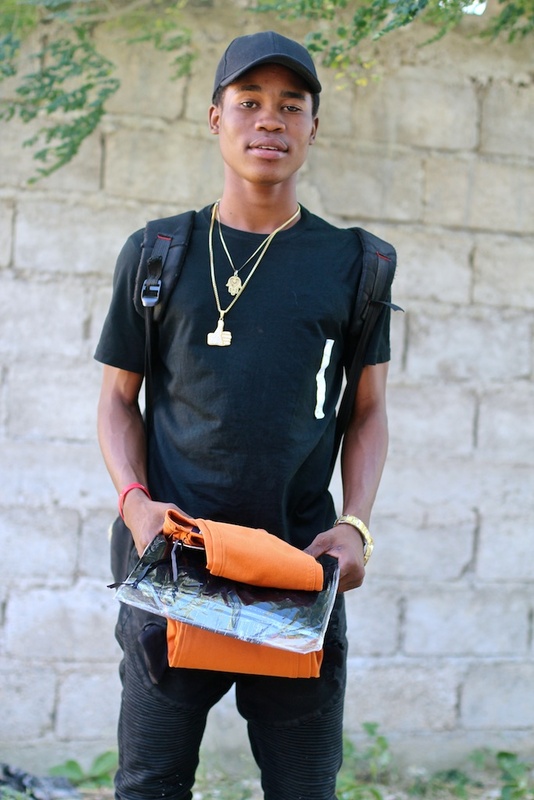 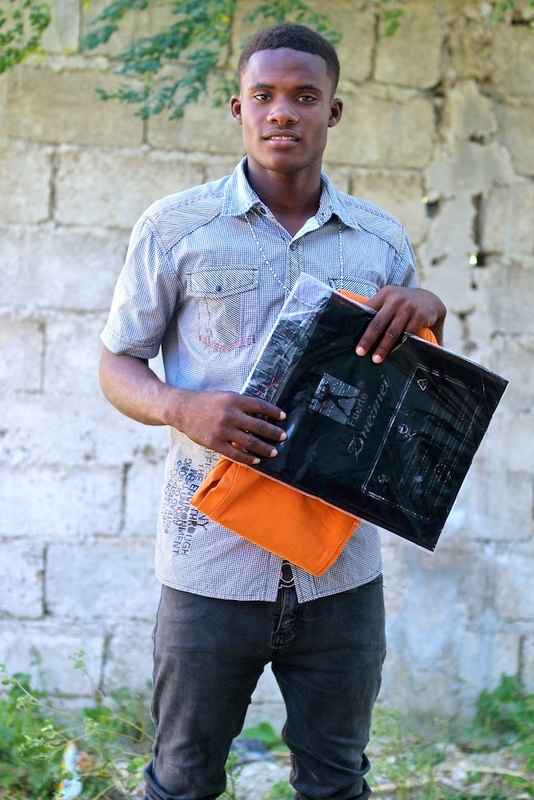 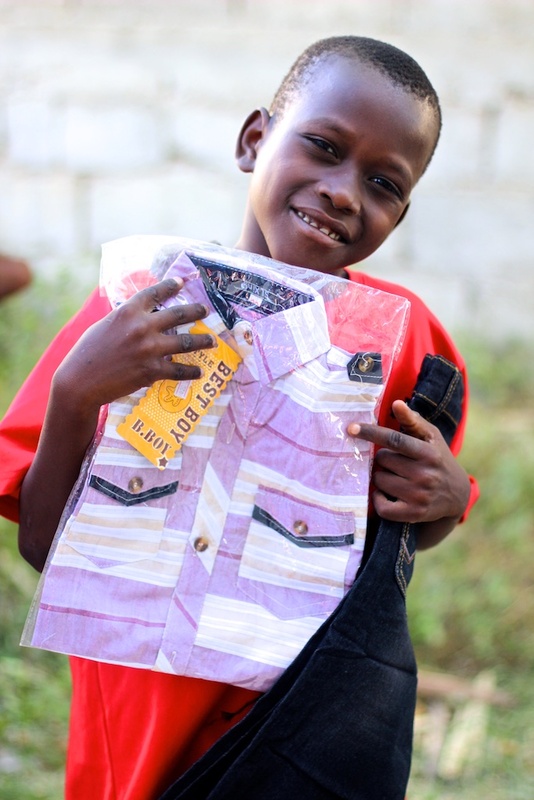 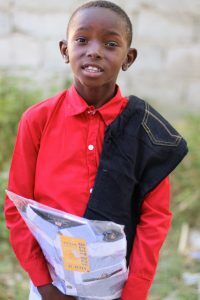 Because it is a tradition in Haiti, every child always hopes to receive a new outfit at Christmas to wear in December and January, but sometimes his/her parents can’t afford a gift of clothes. 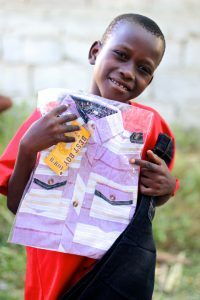 These parents thank God for all of you sponsors, who bless their children with love and a Christmas gift for the new year. 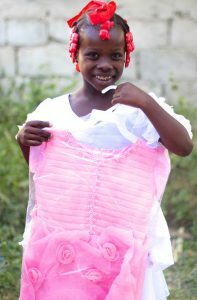 I remember every year when I was little, I always hoped to receive a beautiful outfit for Christmas, too. 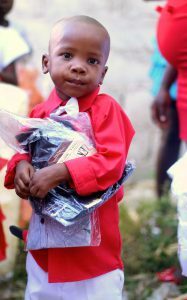 It is a blessing to be part of making that dream come true for the 368 students at Grace Emmanuel School. 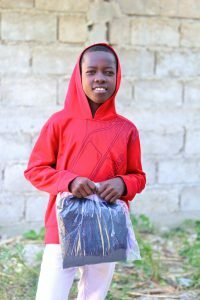 The students received their new clothes at the Christmas party last week. 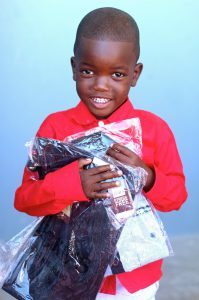 Everyone’s heart was happy. I thank you very, very much because you support children in my country, Haiti. 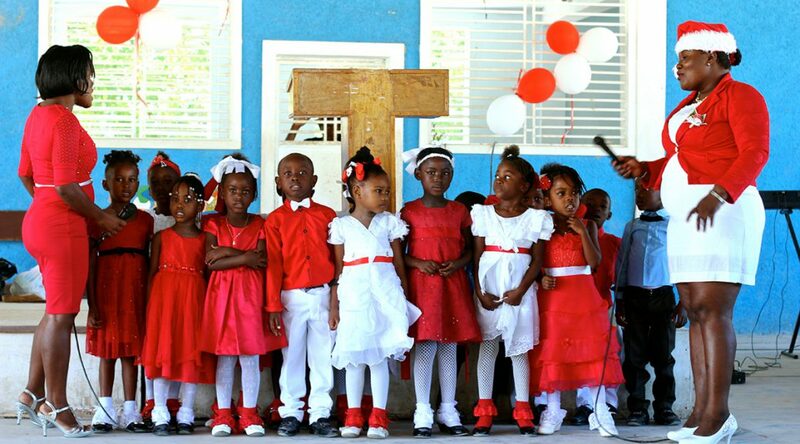 May God continue to bless you and your families every day. 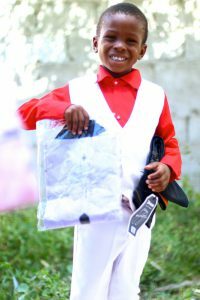 You are saving the lives of many children in Haiti with education. Please pray for them every day. I’m praying for all of you. I love you very much. I wish you a merry Christmas and Happy New Year 2019.